Welcome to Elite Pools By Aloha, the premier Central Arkansas pool contractor. We design and build luxury swimming pools and outdoor living spaces. Known for our uncompromising standards, finely tuned process, and commitment to crafting masterpieces, we provide our clients with custom designs that are welcoming and truly unique. Building distinctive pools requires dedication, mastery, and collaboration in order to both reflect and illuminate our clients’ wishes. We take pride in our reputation as the best Central Arkansas pool contractor because we believe it is our responsibility to provide our clients with welcoming, beautiful works of art that raise the standards for the finest custom swimming pools. Our projects feature remarkable aquatic architecture and unique outdoor living spaces that blend functional design with state of the art details to enhance the natural beauty of the environment. Build your dream pool with us. 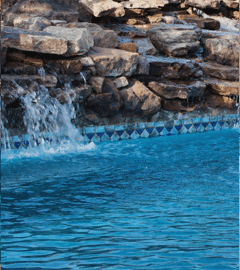 Schedule a consultation with Elite Pools by Aloha today! Explore our portfolio to see why our custom concrete in-ground swimming pools are recognized as some of the most unique and beautiful swimming pools in Arkansas. We seek to delight our clients at every stage of the design and build. Discover how our process helps us understand your unique space to give you a luxury swimming pool that is a work of art. Our expert technicians provide comprehensive pool services to keep your Central Arkansas pool beautiful. Learn more about maintaining an inviting and enjoyable swimming pool. Our first priority is to understand our client’s individual needs and dreams. We want you to hear directly from our client testimonials to see how we’ve enhanced their welcoming homes. 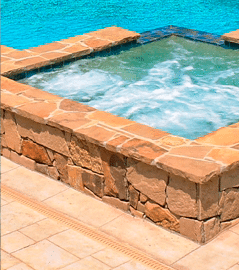 Elite Pools By Aloha designs and builds extraordinary custom in-ground swimming pools in Central Arkansas, including Little Rock, North Little Rock, Hot Springs, Greers Ferry, Heber Springs, and other communities throughout Arkansas. We’re award-winning pool builders and pool contractors providing our clients with extraordinary experiences. 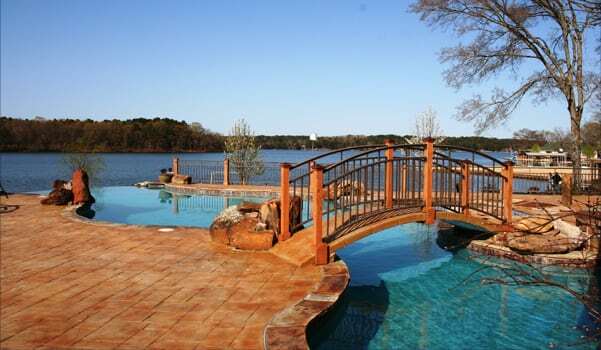 Explore our site to discover what the leading Central Arkansas pool contractor can create for you.